Call for Makers Extended to March 21st! We’ve gotten a rush of inquiries and interest, so we’re extending our Call for Makers through March 21st. 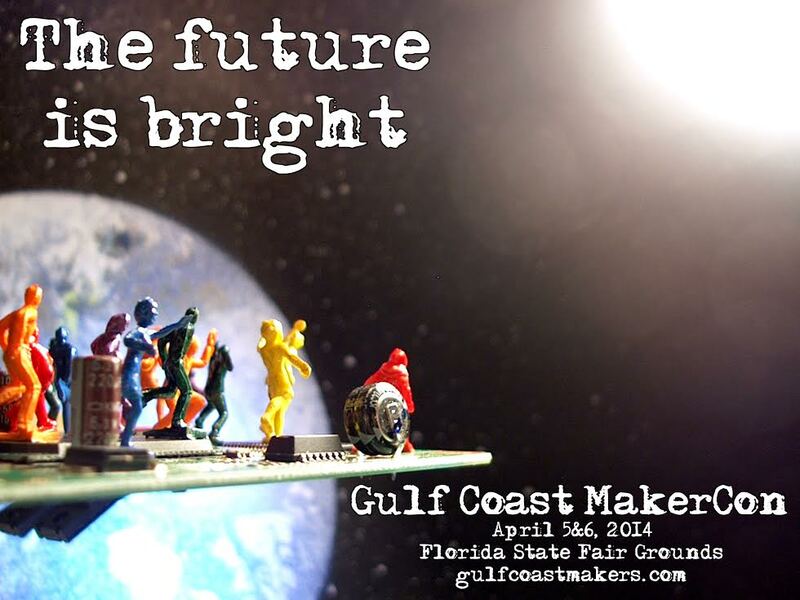 Learn more about Gulf Coast MakerCon here, and apply via the form below. It’s free for educational and demo exhibits, and just $75 for the weekend for vendors! All Makers will have a 10×10 foot area, a 6 ft. table and two chairs. The rest is up to you! Make it Awesome! If you’re interested in flying your maker flag as a sponsor at Gulf Coast MakerCon, please check out our sponsorship opportunities, too! This entry was posted in DIY, Gulf Coast Makers Festival, inventors, MakerCon, Makers, Young Makers and tagged Gulf Coast MakerCon, Gulf Coast Makers Festival, makers festival. Bookmark the permalink.